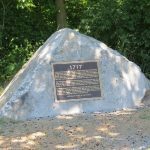 Sometime in the year 2007, some 290 years after the settling of Hans Brubaker (“A” lineage) and his family, two of his descendants, cousins Eileen Bender Johns and Bob Noll, embarked on a search for his original settlement. The two of them, with an eye to the future while wishing to pay homage to the past, desired to find this location so as to erect a monument to commemorate the 300th anniversary of his arrival and ownership of land in East Hempfield Township, Lancaster County, PA. 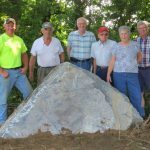 Through considerable research, and, with the help of staff from Lancaster County Historical Society and the Church of the Apostles UCC, a rather specific location was determined. It was established to be on the south side of Brubaker Run, on what is now private property in a housing development, just a few hundred yards south-southwest of the oldest existing “A” family homestead. The footbridge photo above spans Brubaker Run and is located very near to the site of Hans’ no longer standing settlement house. Through conversations with officials from the Church of the Apostles, it was recalled that an existing Brubaker commemorative plaque already existed on the nearby “A” family homestead mentioned above. Consideration was given to a site in the nearby park on church property or another alternate site. Given that the original “B” family lands were adjacent to the north, an idea for an alternate location still on Brubaker lands came to life. Proposed site of the 300th anniversary monument. 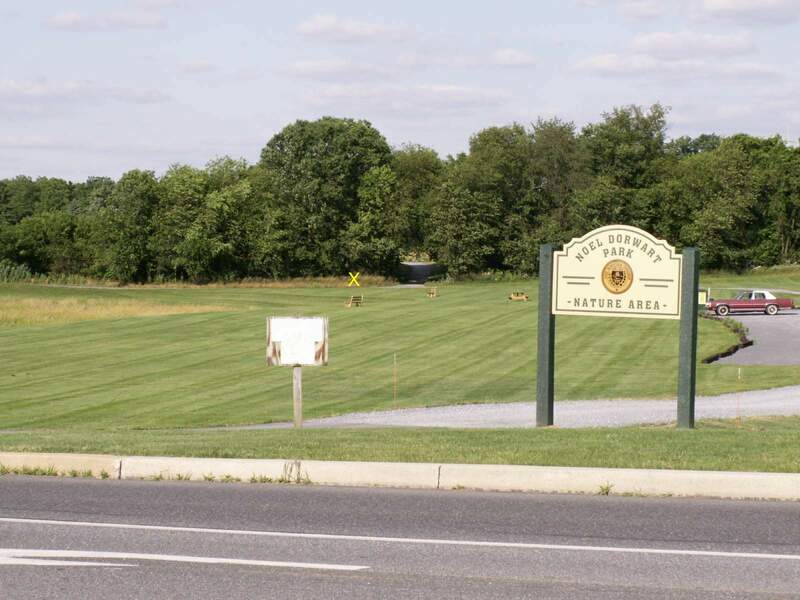 With East Hempfield Township’s establishment of the Noel Dorwart Park on ‘B’ family lands, located between Good Drive and Farmingdale Road, the idea evolved to consider a location within the park, just west of Farmingdale Road and the oldest known “B” family homestead in existence. In 2009 and 2010, Eileen presented her vision and ideas to East Hempfield Township officials, culminating in a presentation before the Board of Supervisors in January of 2011. With unanimous approval by the five member board, Eileen’s vision was one step closer to becoming reality. The main purpose for this undertaking is to provide information to all persons in the future so that it would always be known that we Brubakers are dedicated to the preservation of the (heritage of the) Brubaker families who reside throughout the whole country but who first made Rohrerstown in Lancaster County their home almost 300 years ago. Periodically we will post more pictures of the monument as it continues to take shape. Be sure to see the galleries below. We all extend our heartfelt thanks to Eileen, Bob Noll, and their late predecessors, Phares Brubaker Gibble and Landis H. Brubaker (for their extensive research and writings over the years pertaining to the Brubaker lands in East Hempfield Township), The Church of the Apostles UCC, and East Hempfield Township’s staff and Board of Supervisors for their part in bringing this dream to reality. 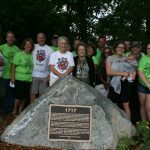 During our 300th Anniversary Celebration weekend we had a special Dedication Ceremony of the 300th Anniversary Monument at 9:30am on Saturday August 5th at Noel Dorwart Park on Good Drive in East Hempfield Township, Lancaster County. Click to see location of Noel Dorwart Park. Click on the below images to see the thumbnail slideshow galleries. 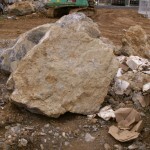 A native Lancaster County limestone boulder is selected. 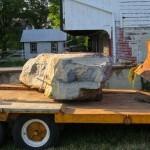 Placing of the Monument Rock. Installation of the Memorial Plaque.